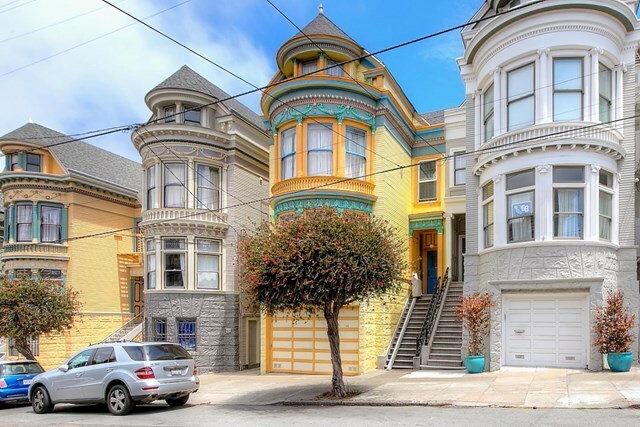 Distinctive Victorian multi-unit in the desirable, popular tourist attraction Upper Haight neighborhood of SF! Owner's unit and unit#2 with airy, sun-drenched living rooms, impressive high ceilings & period details! Remodeled shower stalls in 3 out of 4 baths. Owner's unit (2br/1ba) boasting remodeled kitchen with granite counters and backsplash, fireplace and built-in bookcases. Delightful backyard garden. Shared laundry. Total gross income $129,624.00/year (including pro-forma rent for owner's unit). Featuring 2 2BR/1BA, 1 1BR/1BA & a workshop/studio. Unit# 2 rented for $3,890/month, unit #3 for $1,736 and unit#4 for $1,286. Owner unit & 1-car garage delivered vacant at closing. Needs some work but has great potentials, good income and in prime location near GG Park! Don't miss out on this great opportunity..Elderly previous owner died of natural causes at the house in 2017.